Spring is in the air and Hong Kong chefs are taking note this month, as the promise of fairer weather turns the kitchen focus towards seafood-centric dishes and lighter flavour pairings. Whether it’s a spotlight on fresh ocean produce from France at the InterCon’s Rech, or sweet, ripe mangoes lifting the spice-heavy flavours at Indian restaurant Daarukhana — these healthy-leaning menus are guaranteed to put a spring in your step. 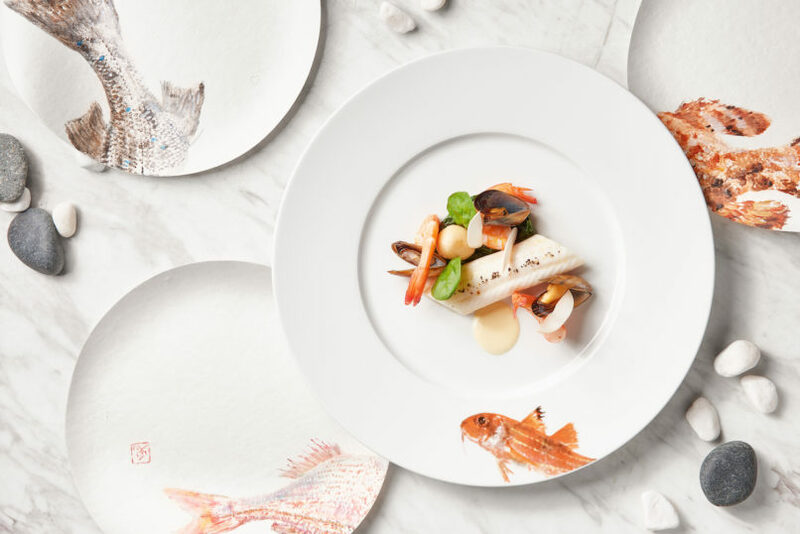 One-Michelin-starred Rech by Alain Ducasse is taking diners on a culinary voyage this spring along the coast of France, presenting the region’s finest produce and specialty dishes in a series of 5-course tasting menus. From briny French oysters to pristine seafood caught off the coast of Normandy, seafood lovers can expect a veritable feast of oceanic treasures in the new menus dreamed up by Executive Chef Guillaume Katola. The season kicks off with “La Normandie d’Alain Ducasse” (running through 30 April): a menu dedicated to the best of Normandy’s produce, from Créances carrots to creamy camembert. Priced at HK$1,288 per person, the menu starts with Saint Michel oysters, offering a delicate balance of sweet and saline flavours; seared sea scallops with uber-sweet carrots from Créances; and Dieppoise-style sole fillet baked with button mushrooms and shrimp in a creamy white wine sauce. The cheese course is a special highlight of any meal at Rech, and the special menu doesn’t disappoint with a rich, buttery Camembert produced under strict Normandy guidelines and aged for 20-30 days in-house at Rech. Dessert wraps up with a classic dessert of the region: flambéed crêpes, with a splash of apple brandy from — you guessed it — Normandy. The culinary tour travels later this summer to the Riviera, Brittany and Aquitaine. Celebrating the arrival of spring, A.O.C Eat & Drink chef Stéphane Guillas is at work on a host of healthy new additions to the menu, anchored by a new “fish bar” which highlights fresh seafood flown in daily from Qwehli, a well-known sustainable fishmonger from Paris. Starting this month, the cosy wine bar (which also debuts a lighter and brighter look for spring) presents seven new small plates to choose from, each one inspired by ocean produce, from the crunchy prawn Caesar salad with shaved parmesan and anchovies, to grilled mackerel served on freshly baked focaccia. A scallop tartare benefits from the addition of tart mango and green apple, while a classic take on quenelle de brochet presents fresh French pike served with a creamy mousseline foam, accompanied by a luscious lobster sauce. 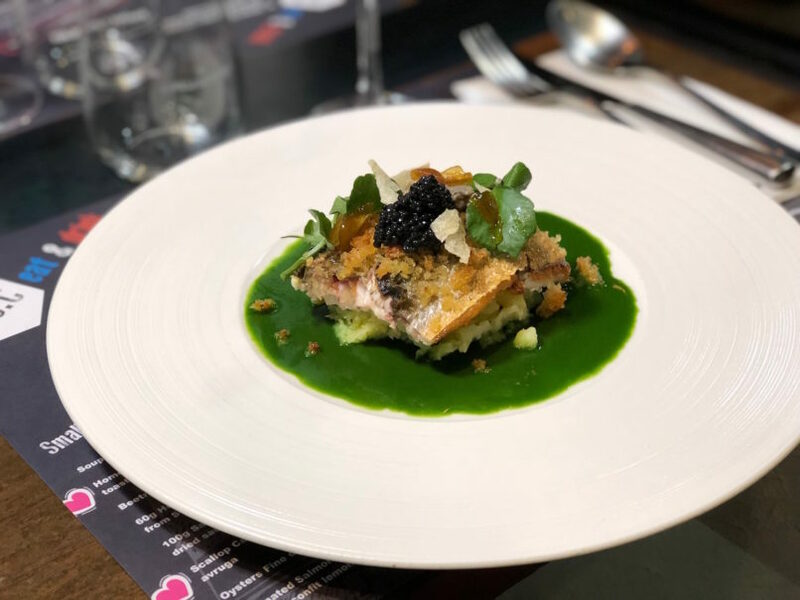 For mains, dig into the Atlantic Dover sole with grenobloise sauce, or the buttery Atlantic sea bass served with watercress, olive oil mash and a lemongrass emulsion. As always, guests can savour their meal with affordable wine pairings sold at retail price courtesy of the restaurant’s retail arm, Winebeast. The Alphonso mango, the yellow, sweet-fleshed fruit native to India, is the star of a new menu celebrating the start of the Indian summer at Wan Chai’s Daarukhana. 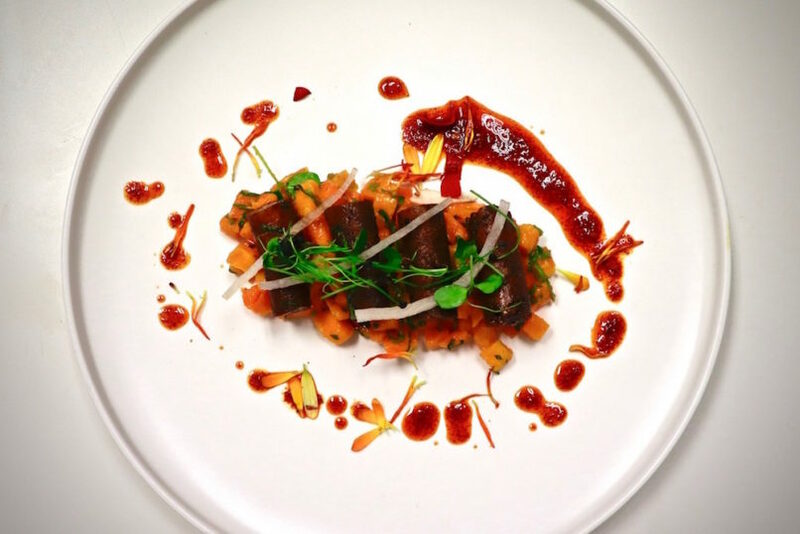 One of the country’s culinary treasures, the mango is prized for its intense sweetness and richness in flavour, making it a worthy ingredient to anchor the series of new dishes in chef Valice Francis’ kitchen. The new offerings include the achaari salmon with mango chaat (HK$158), with medium-cooked pickled salmon paired with lemon-marinated mango, teetering playfully between tart and sweet; and the vegetarian-friendly tofu barrels with mango chaat, featuring springy bean cured paired with a refreshing mango salsa. For dessert, hapus aam ras (HK$118), a famous Gujarati and Maharashtrian sweet juxtaposes puréed ripe Alphonso mangoes alongside creamy coconut ice cream topped with crunchy nuts — a fitting palate cleanser to end the fruit-forward meal.